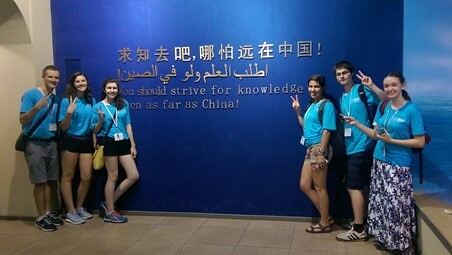 While the typical name for America is the “melting pot” of the world, NSLI-Y students today were able to witness a very unique melting pot of cultures right here in China—in Quanzhou. Quanzhou was one of the major harbor cities of the Song (960-1279) and Yuan dynasties (1271-1368) and the starting point of the silk road. Because of all the trade that was taking place in this region, so many different aspects of culture were meshed together and contributed to the cultural diversity of the area. 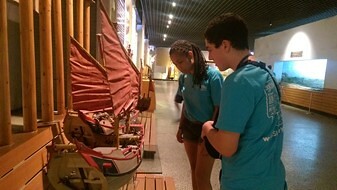 NSLI-Y’s first stop today was the Maritime Museum which we learned was 海洋博物馆 in Chinese. The museum showed Christian stone cuttings such as tombstones that not only had the typical Christian symbol of a cross, but also of a lotus flower, a Buddhist design, and other Daoist and Islamic symbols. This was especially interesting to me as even though America houses so many people of so many different backgrounds, I would rarely be able to find this fascinating mingling of religions. We also learned while in the museum that in ancient times, China contributed greatly to the field of shipbuilding and at one point possessed the greatest variety of boats in the entire world. Quanzhou was the perfect place to turn back time and witness the marvels of nautical achievements that were made so long ago. 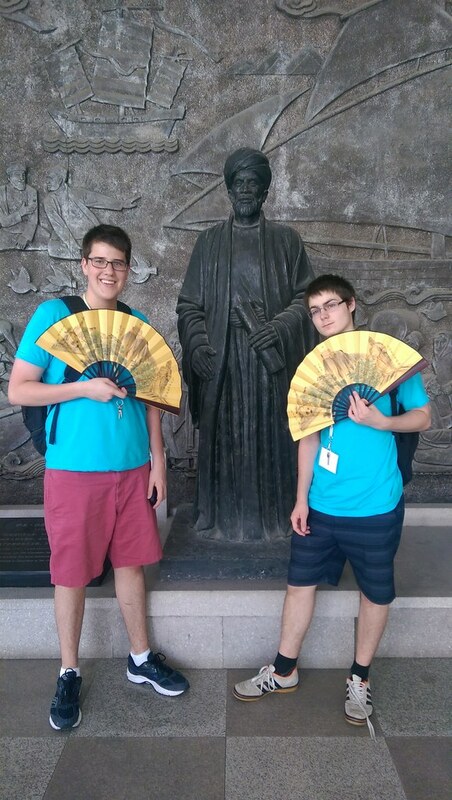 NSLI-Y students definitely felt as if they were a part of this enchanting time in China’s culture.